Yes, I know it’s September already… I moved house okay – that’s my excuse *throws hands in air*. You’d think that with travelling here, there and everywhere would make cracking on with my TBR pile a hell of lot easier but for me, that really wasn’t the case. With the amount of travelling I was doing and the amount of disruptions from changing coaches and trains so many times I rarely got in a good enough headspace to be able to actually crack on. But, I did it! I started reading this on the train to Whitby, and if you do your maths right that was about four months ago. It took me forever to read and finish this book and I tell you why: I didn’t live up to it’s hype. 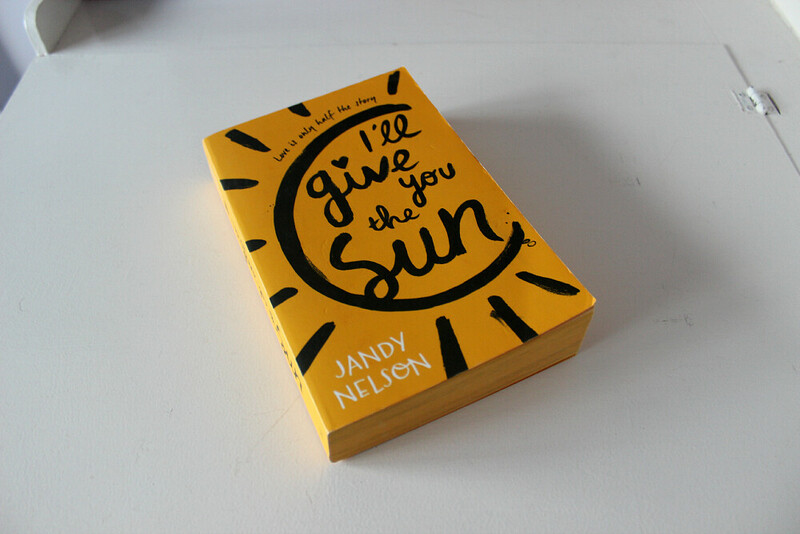 This book cover is incredibly photogenic, and let’s face it, so is Nelson’s other novel so no wander they’re all over Tumblr. That colour book tag you’ve been struggling with for ‘yellow’? Nelson’s got ya. That really bright and interesting cover for another book tag you’ve been dying to do a picture for… again this book is for you. I somehow get the impression that the reason this book has been doing the rounds so much is because it’s so eye-catching and hence has been all over social media and that really disappoints me. Nelson writes about a set of twins, Jude and Noah, and explores their relationship as they’re growing up and going through a serious personal tragedy that rips them apart. There’s lots of hopping between perspectives of the pair and to begin with it was actually quite refreshing to read but as the book wore on – and the characters aged – it started to make my reading experience quite hap-hazard. I liked Jude, and I actually really liked Noah but by the end of the book I started to despise him. I get it, there’s some serious jealousy going on between the two of them but the book makes quite a jump in time half-way through and you find that Jude and Noah have switched from their personalities and the people you thought they were going to become to be almost completely different characters from who I started reading about. As I say, I get it – but I just didn’t like it. This was one of the only books I was able to get into whilst I was on my travels and I think it was helped by the fact that it was proper chick-lit read, in fact every time my Mum saw that I had it out she would consistently call it ‘that trashy novel’. Taking place in the New York entertainment industry during the seventies, the book follows three woman who become stars whilst dealing with the up and downs of their personal lives dotted with the influence of what they call ‘little red dolls’ – or prescription medication to you and me. The synopsis on the back sounds promising but gives the tale away within the first few lines, basically these women get to the top and slide back down again thanks to their dependance on medication that’s passed between them and is writhe within the industry itself. Shocking, intriguing and totally trashy I really enjoyed this book even if it was a little over the top. My least favourite character is Neely in the end as she starts off as such a bright-eyed and talented performer and over the course of the book you see her turn into the sort of actresses who caused her such grief to begin with, she certainly becomes a diva with a capitol ‘D’ and didn’t properly hack me off until the final few pages. That woman annoyed me through and through. Her dependance alone on these ‘dolls’ frustrated me, I wanted to reach into the story myself and get to pull her act together but I almost knew her doom was coming from the very beginning just by experiencing her naivety as a character from the off. The twist at the end amused me and hammered the final nail into the coffin for Neely’s character for me as well, it was bittersweet and pretty awesome. Still, Valley of The Dolls was totally a ‘trashy’ novel and I quite liked that. Okay… hold up. 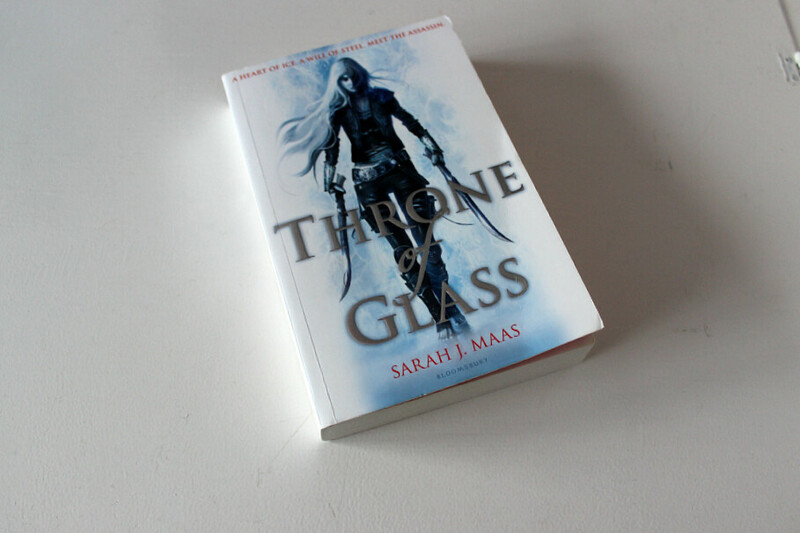 I met Sarah J Maas at a Cardiff book signing and the woman is a complete doll! Rick and I were walking past the Waterstones one Saturday and being as neither of us can resist a nosey around a book shop at the best of times seeing that one the authors I’ve been wanting to check out for a while was in town… well let’s just say we spent more on literature that we bargained that day. Maas was actually in to publicise the release of her new series A Court of Thorns and Roses but more on that book later, because as Rick and I both had a book signed each (by possibly the nicest author I’ve ever met in person!) I decided to have his copy and read this one first. It screams trashy chick-lit from the off right? Yeah, but who cares. I loved this from the first page to the last and it just screams fanfic at me – but in a totally good way. I ship some characters in here, and I ship them hard – I can see why this series is so popular. I think a new one has come out making there four books in what I thought was a trilogy and I’m totally looking forward to popping the second one through a till the next time I’m in a book shop. 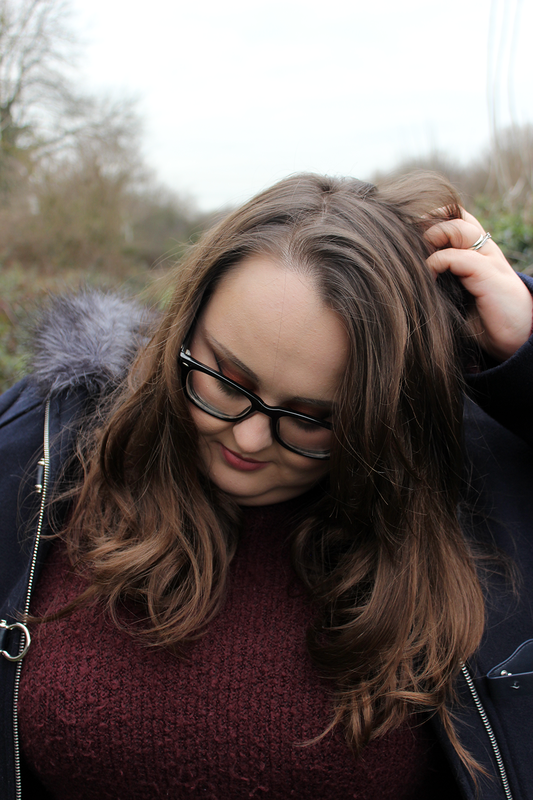 So I’m all about hanging out on Tumblr on checking out book bloggers and all the incredible pictures they take of book stashes and this one cropped up a lot. I saw this in a shop and being as I’ve read Fangirl and kinda enjoyed it I thought to myself – hey let’s support authors and read some of their other works sometimes – and that begins the story of how I got this book. How ends the story? Well I actually gave this book to fellow blogger Tattooed Tealady when I moved home because I thought a) she may enjoy it and b) I didn’t see it being a book that lived on my ‘forever’ book shelf. Let’s face it, when there’s limited space on an Ikea Billy bookshelf that’s yours and when you’re going to live with another bookworm who also has a gigantic book collection of his own you have to be a little cut throat. I’m very much ‘meh’ about this book. 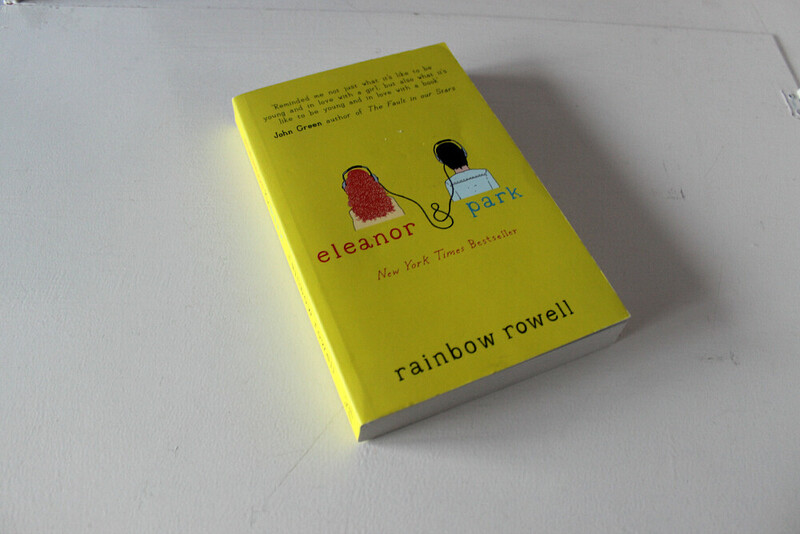 Meet Eleanor and meet Park. Both are different teenagers who come from completely different backgrounds but essentially – Park falls for the ‘out of sorts’ Eleanor when he realises that she’s actually pretty cool and not just weird. There’s an odd domestic abuse/child neglect theme running from Eleanor’s home life that coincides with this love story that we never really quite find out the full details about but that’s the only thing that kinda frustrated me about this book. In summary, if you really want to know about the story: Park is madly in love with Eleanor and she doesn’t quite get it because she thinks that she’s crazy repulsive. I understand, I really do, because she thinks she’s not worth the love he has for her but damn – it was so frustrating reading about. In the YA world I think this book is quite a big deal to some folks but for me, I’m an old hat at this stuff and just wasn’t feeling it. 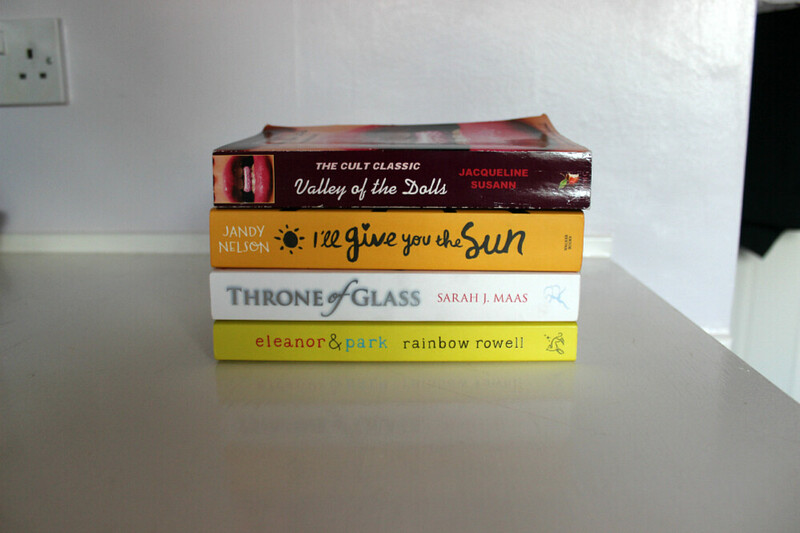 Have you ready any awesome books lately? And are you super behind on your reading goals like me? Let me know in the comments below.